Raccoons aren't common pets, but those that choose to invite a raccoon into their home find that they make fascinating and funny companions. Raccoons are a lot like a large ferret or puppy but have characteristics that are still special to their species, and they are always full of mischief. Many experts advise against keeping raccoons as pets, as they are difficult to tame and have health issues that are hard to manage. Raccoons are intelligent, active, social, nocturnal animals. They are also destructive and unpredictable, even when tame or born into captivity. Raccoons don't do well in cages, but their sharp claws and teeth can destroy property and injure owners. On the upside, raccoons are bright enough to become litter trained, social enough to play happily with their human owners, and absolutely adorable to most human owners. They can learn to respond to a few command words, much like a cat or dog, and can learn to understand your tone of voice. On the downside, raccoons are unpredictable and are very likely to get into and damage your belongings. While they can be companions, the reality is that raccoons are and will remain wild animals. Raccoons cannot be caged for long periods, so most people who keep them in their house utilize a large dog crate to contain them when they aren't home. The majority of a raccoon's time is spent roaming your house, playing, climbing on things, exploring, and being mischievous; that means your home must be childproofed. Raccoons are prone to chewing on cords, climbing bookshelves, and knocking down valuables. They are too active to be content sitting in a cage for long periods of time so be sure to provide plenty of space and time to entertain your raccoon. If you have space, it's ideal to also provide an outdoor enclosure for your raccoon. This is a great alternative when you're busy or heading out and want your pet to have space to play and opportunity to exercise. An outdoor pen should be completely enclosed. Inside, your raccoon should have access to food, water, shelter, and structures for climbing and jumping. Include toys to keep your pet engaged. Raccoons are omnivores, meaning they'll eat both meat and vegetables. Offer your pet a wide variety of food, including dog food, insects, vegetables, fruits, and protein sources. Treats such as nuts and other fatty foods should be offered sparingly to prevent obesity. Daily enrichment activities using food should also be performed since raccoons will easily get into trouble if they don't have something to do. Baby raccoons can be fed a milk replacement available through pet stores; never feed cow's milk or human baby formula to a raccoon. Once the kit is a few weeks old, it can be weaned to soft foods and then to a full range of foods. Raccoons are messy eaters because they like to dunk their food in their water dish prior to consuming it. That means you'll need to provide plenty of fresh water, changed regularly, in a location where it's easy to clean up. Prior to getting your pet raccoon, find a veterinarian who is willing to treat them. Even where raccoons are legal it may be difficult to find a vet who is willing to work with them. Raccoons are susceptible to distemper and rabies and although they can be vaccinated with a canine killed rabies vaccine, it is unknown whether this vaccine is truly protective for raccoons. 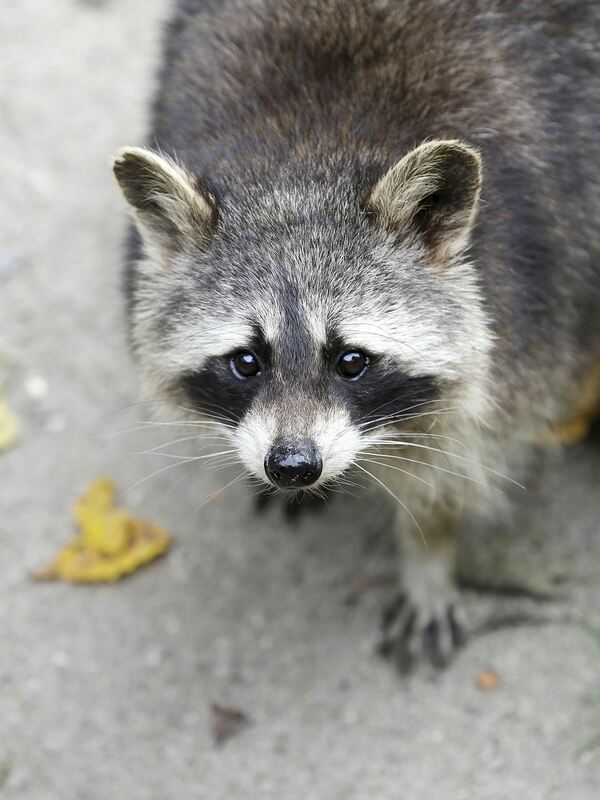 In the case of a human bite incident, regulatory agencies most likely will not accept the vaccine as effective and will confiscate and euthanize your raccoon. Raccoons raised by breeders and adopted as infants are less prone to these diseases, though it's still very important to have your pet spayed or neutered, and vaccinated and dewormed on a regular basis. Is It Legal to Own a Pet Raccoon? Before even considering a raccoon as a pet you should be aware of your local laws since they are illegal in many areas. Raccoons are illegal in Arizona, Colorado, Idaho, Kentucky, Louisiana, Maryland, and Massachusetts among other states, and there are specific laws surrounding raccoon ownership in most states. In some states, while it may be legal to own a raccoon as a pet, it is not legal to import raccoons from outside the state. Check with your local and state/provincial regulatory laws before pursuing the idea of having a raccoon as a pet. If raccoons are legal where you are, then and only then should you start your search. Many states consider raccoons to be native wildlife or fur-bearing animals and have special laws that pertain to these types of animals. In addition to checking on the rules surrounding ownership, look carefully at regulations for raccoon owners. What happens to your raccoon, for example, if it happens to get loose? What happens if it scratches or bites? In some areas, the laws are quite harsh regarding the treatment of wild animals kept as pets. It is best to obtain a pet raccoon from a breeder, although these may be difficult to find. Some people have raised orphan raccoons as pets but this may be illegal even in areas that you are allowed to have a captive bred pet raccoon. Taking native animals from the wild is not permitted (or a good idea) in most areas. It is also best if your raccoon is used to being handled from an early age since these animals can be prone to biting. This is another benefit to purchasing a raccoon from a breeder as the breeders typically interact with the young raccoons. This will help them to be more social and less likely to want to test you with their teeth. Raccoons are curious and are still considered wild animals, even if they are purchased from a breeder, so they are less predictable than a puppy. Could You Own a Pet Raccoon? Be prepared to make a long-term commitment to a pet raccoon. They need lots of care and attention as well as supervision, and if they are well cared-for it is reasonable to expect them to live for 10 to 15 years. Just like any pet, you need to consider who can look after your pet raccoon if you go on vacation, pass away, or if something should happen that prevents you from keeping the raccoon for the length of its life. They can't be released back into the wild, so you should always have a backup plan.